Above the original photo on the NASA website. 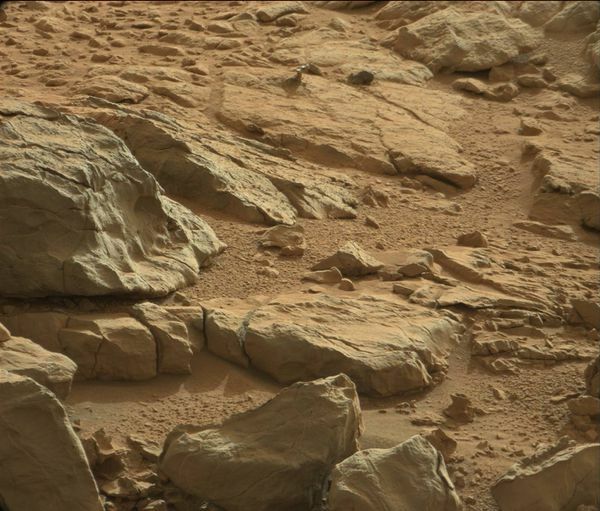 The object is on the Martian rock at the top and in the middle of the photo. Click here to enlarget top photo. Above I have circled in red the strange object Martian. Above I enlarged the unusual object Martian.